Owned by the City of Newnan and operated by the Newnan Convention Center Authority, the Newnan Center opened to rave reviews in June 2013. The $5,044,000 venue was built with SPLOST funds and Hotel/Motel tax money. The Centre is a multi-purpose facility designed to host various types of events such as corporate meetings, wedding receptions, banquets, fundraisers, social events, etc. which can accommodate 10 to 650 people. The 6,060 square foot ballroom is divisible into four rooms, which can be configured in many different ways. A 675 square foot boardroom looks onto lush landscaping and the Centre's focal point -- the Pavilion. 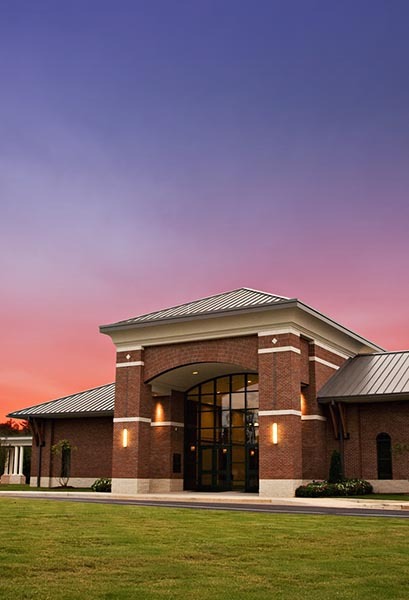 A covered walkway connects the Newnan Centre to our neighbor, the Coweta School System Performing and Visual Arts Centre, creating a community cultural arts mecca on a campus of lush landscaping and nature serenity.